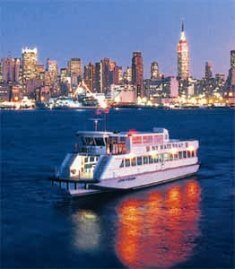 Embarkation commences at 6 PM from Pier 60 at Chelsea Piers Marina on Manhattan's West Side. The cruise departs at 6:30 PM sharp. We will enjoy sunset views of the Manhattan skyline and the upper Hudson Bay as the Affinity sails around Battery Park, past the Statue of Liberty, and up the East River before returning to Pier 60 at 9:30 PM. Convivial company will drink in the scenery with an open bar and a delicious catered sit–down dinner. If you have any questions about the AGO website or to submit additions to the NYC AGO Concert Calendar, please email Sam Bartlett at samueldavisbartlett@gmail.com. The Substitute List continues to be updated monthly and is still accessible via this website. The April 2019 e-newsletter is now available online. 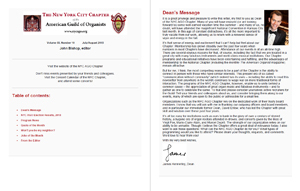 Newsletter Archives may be accessed by clicking on "Newsletter" in the navigation column at the left.